The CiteAb team is growing! It has been a very busy year for us here at CiteAb – working with more suppliers, seeing huge traffic increases from researchers, and releasing more data reports. For this reason we’ve taken the decision to appoint a full time data scientist – Rhys Williams joins our team this week and he’ll be working on really beefing up our data reports. 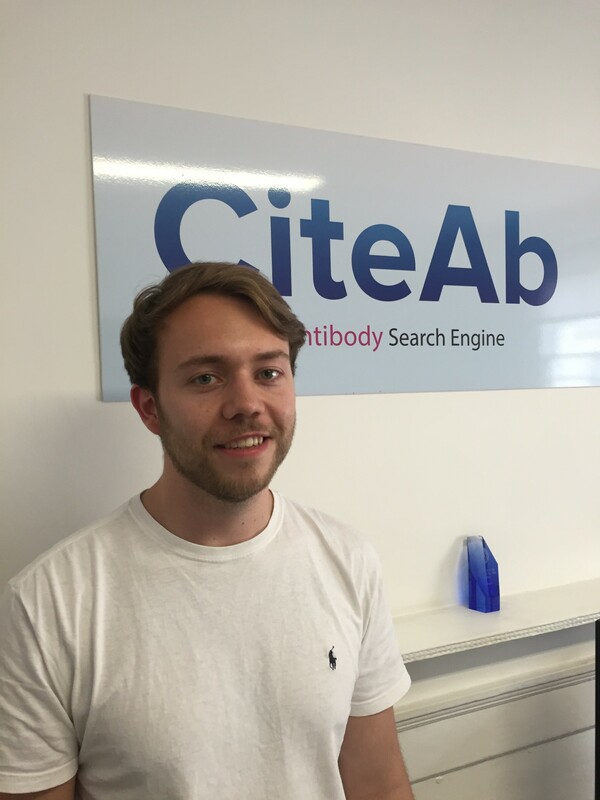 Hi Rhys, welcome to CiteAb. Can you tell us a bit about yourself? Yes sure. I’m Rhys Douglas Williams, I was born in Huntingdon in Cambridge, England (although I have Welsh parents) and I grew up in the town of Bedford in Bedfordshire. I spent a lot of my childhood in a very multicultural environment because my parents worked as housemasters of an international sixth form boarding house, so I was surrounded by students from all over the world. After I finished school I went to the University of Bristol and studied biology. So for you a role with a scientific company was a natural move? 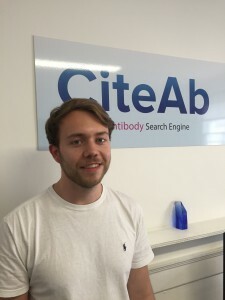 I guess you could say that – I am looking forward to being back among scientific people at CiteAb, and working with researchers and suppliers in the antibody sector. Right, we want to find out a bit more about you, so down to the serious questions..! If you could go on for dinner with anyone, living or deceased, who would you choose? Currently I’d have to say Carl Sagan. I’ve become really interested in astronomy recently and I can imagine I’d have a fascinating conversation with Carl, and I would love the opportunity to grill him on some of the areas I have specific curiosities about! If I’d met you when you were 10 years old, what would you have told me you wanted to be when you grew up? Ha well as the son of Welsh parents I guess I wanted the same as most 10 year old Welsh boys – to be a professional rugby player and to play international rugby for Wales! So there you have it – Rhys Williams, stolen by team CiteAb from a near-definite future in the Welsh rugby squad. We’re sorry Wales, but he’s ours now and we have a lot of data to crunch so you’re not having him back. If you’re local and would like to pop in to meet Rhys and catch up with the rest of our team then do give us a shout (we’ll buy the first round!) – if you’re further away then you’re obviously still very welcome at any time, or maybe drop us a line in the comments below just to say hi!